Full desktop version, nice for editing. Item detail, a child's upload entry of artwork. For me, every object has a story, we all have special items in our lives. They all tell a story. They tell us about who we are. It started with family heirlooms This is what inspired me to create a solution for all of us, capturing and sharing memories. For you, it might be your vintage vinyl collection, or your first pair of marathon shoes. With GS preservation goes digital. We’re solving a problem so many people have - What to do with those old items in boxes or on shelves? 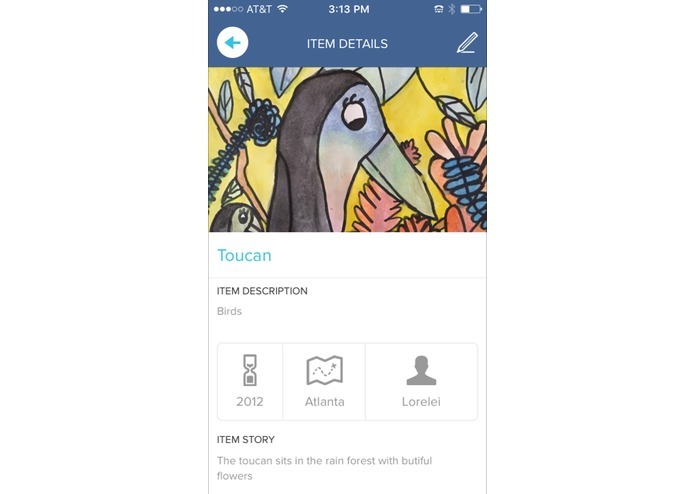 Quickly and easily digitize your family treasures and write their story. Share the stories of your family heirlooms for the next generation. 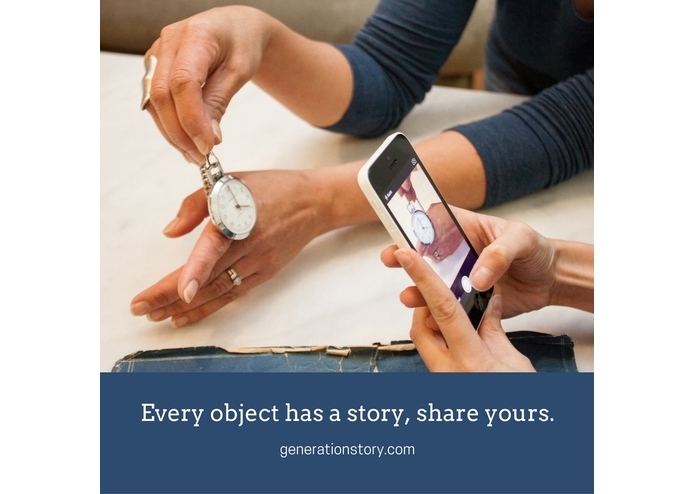 GenerationStory was created to tell the story of your family collections and treasures. Small or large, every object has a story and a place in time and history. 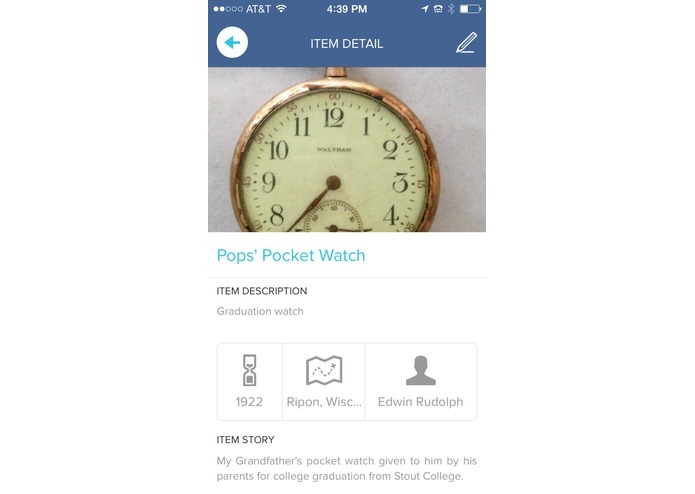 With the GenerationStory app, you will find a simple, easy way to organize family treasures and share stories. For the next generation, organize your collection and share your story. Capture history, capture your story, connect the past with the future. 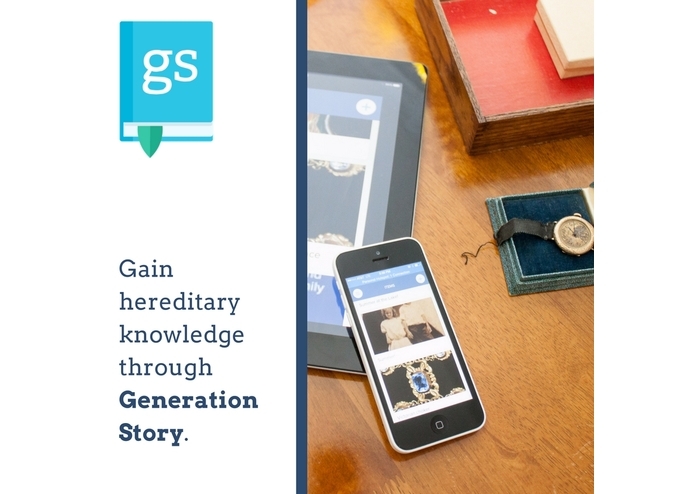 With the GenerationStory app you can document family heirlooms and collectables to create a historical gallery of stories. 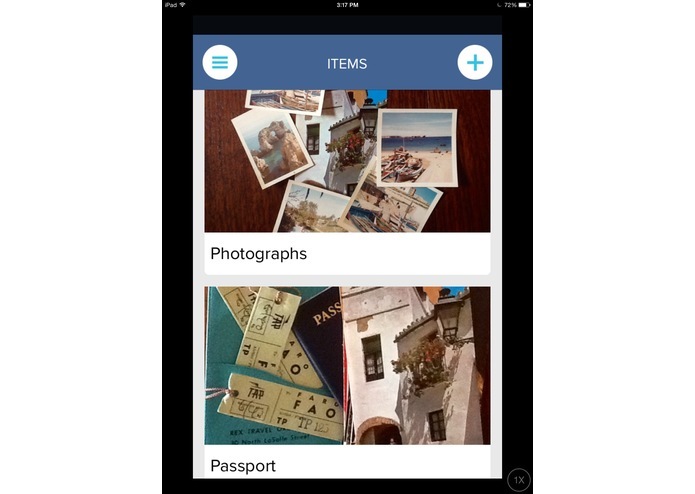 The collection gallery catalogues all of your images, family photos, timeline and stories. Once you have your collection in place, forget searching through secret hiding places for heirlooms, flipping through old photo albums to find family members, dates and names. 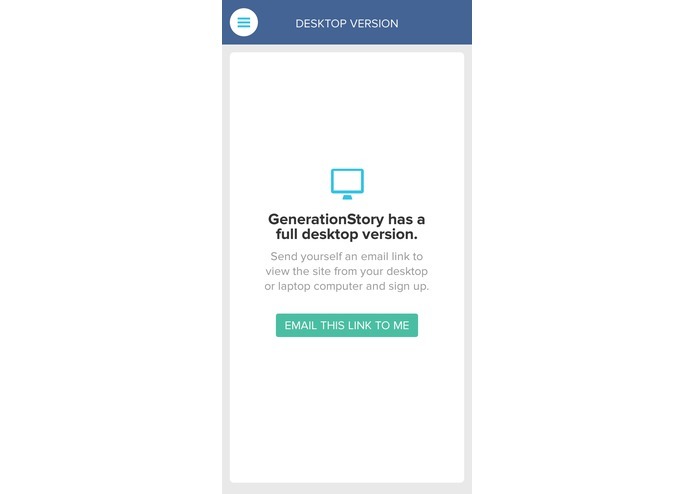 GenerationStory enables you to browse through at anytime and share items and stories in seconds with your family and friends. Upload a photo from your camera roll or use your camera for on the spot image of items. Upload historical family photos. Type in date, person and place of the item’s origin. Tell your story. Share your stories with your closest family and friends on Facebook. Search and organize by item, date or family member. Upload artifacts and stories to the family tree. You are the power in story, let it connect you. What’s your GenerationStory? The architecture of GenerationStory was built upon the expertise of seasoned designers and developers who were able to express the vision of GenerationStory and bring it to reality. We are bridging the gap between the past and the future, through the latest technology. A recent challenge that I ran into was the sunsetting of our printing partner API. Our print partner, announced that they are in the process of sunsetting all API partnerships. We have removed our print option from our menu bar and functionality and updated the app. 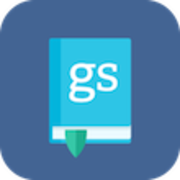 We are currently evaluating other printing options for GenerationStory. Some simple challenges have included: cleaning up version 1.0 to include “forgotten password” and other small updates in navigation and general roadblocks. I feel great accomplishment in having found great relationships and mentorships with the developers and partners who have built the app and helped to establish and market the brand. Implementing 3 versions of app updates based on expansion of the app and user feedback. I am excited to have begun to set up a system for growth. I have learned that there is always so much more to know. In the short-term, I would like to focus on UX, social media marketing, evaluate and create at-home print capabilities as well as product print capabilities. To complete “How to” videos walking users through the app and desktop capabilities. I would also like to expand the app to utilize video, audio and VR capabilities. 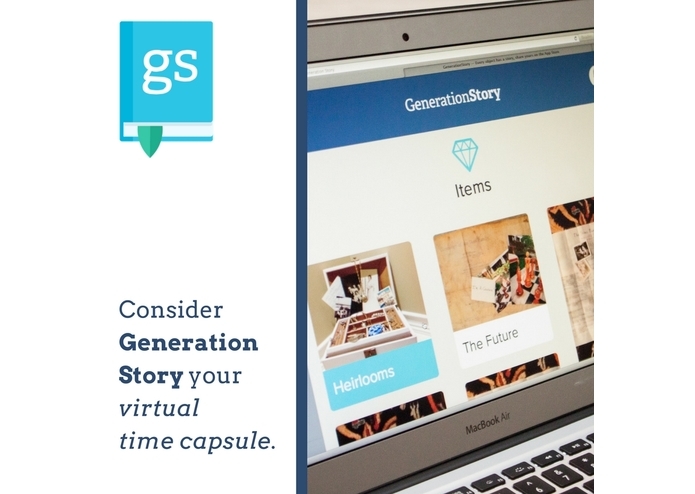 In the long-term I would like to expand GenerationStory to include a GenerationStory “Estate” a product option for valuation, private storage and estate planning capabilities. I would like to expand the GenerationStory brand of products to include innovations for the next generation of family history, human history and global connections. I am Founder and CEO. My role covers product strategy and partnerships, brand identity, content management, identifying partners to provide expertise in areas that are not my strengths. And much, much more.